Nintendo has released a brand new trailer to promote the arrival of another new character that will be coming to Mario Tennis Aces very soon. In February, you will be able to play as Boom Boom. As usual, the Mario Tennis Aces trailer provides some gameplay. We’ve included the trailer for you down below, so if you want to, feel free to check it out. Mario Tennis Aces looks great but I feel that it doesn’t get much attention as Smash Ultimate. 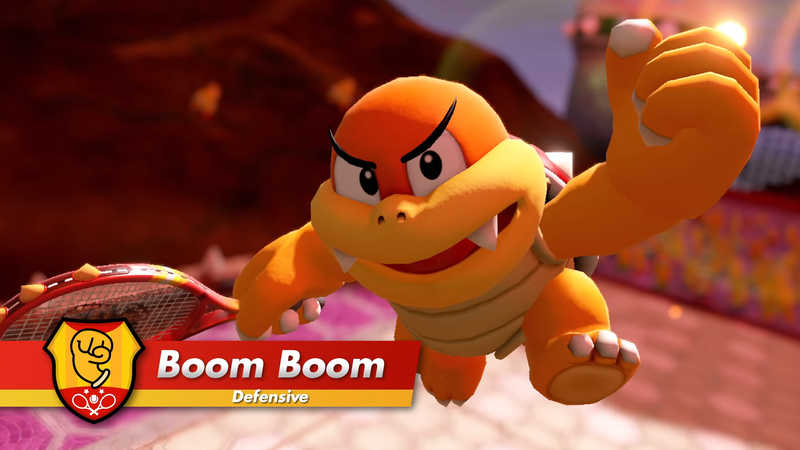 Anyway, it’s cool that the Wacky waving arm Koopa miniboss from Super Mario Brothers 3 will finally make it to Mario Tennis Aces. I think this is great news to the MTA community.